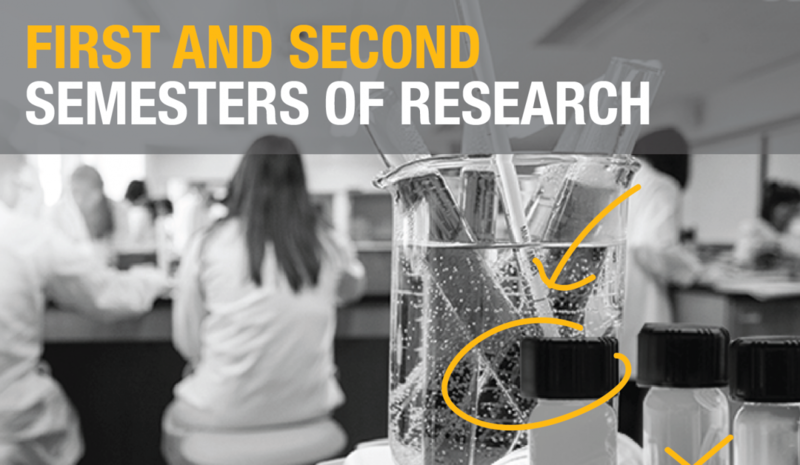 Students should begin anticipating their participation in the option during their first semester of research. 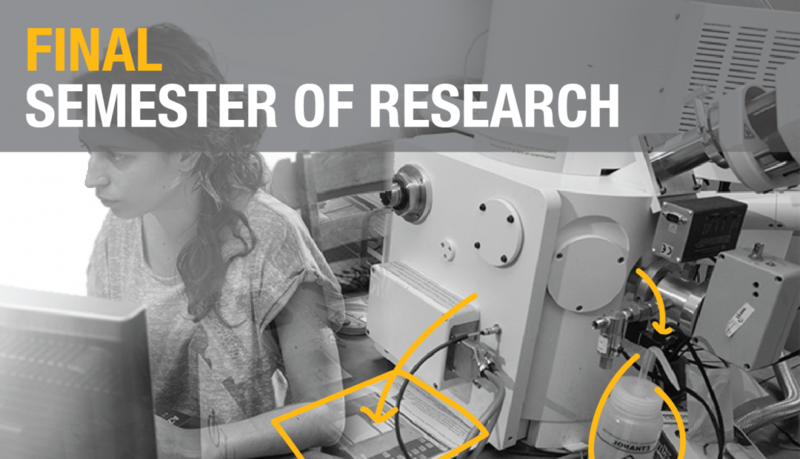 Most students begin their research during their sophomore or junior years and finalize their Research Option project as seniors. 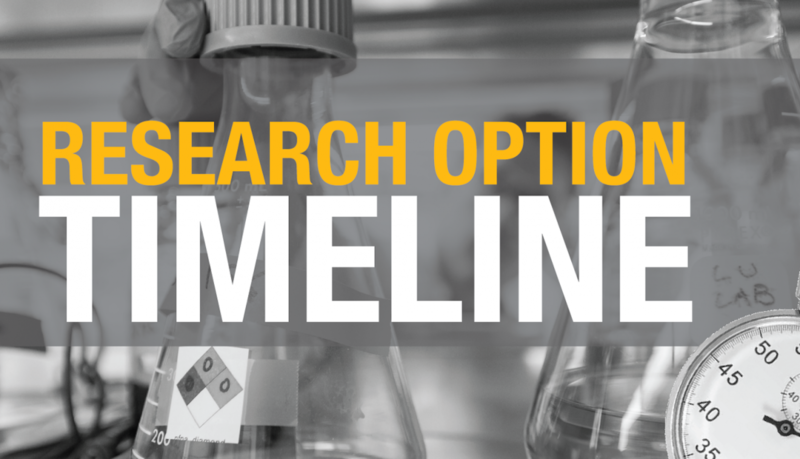 This timeline provides general guidance only, as several departments have school-specific requirements. SIGN UP FOR THE RESEARCH OPTION. Go to the online application form. COMPLETE LMC 4701. In this one-hour course, Undergraduate Research Proposal Writing, a formal proposal for the research project for your thesis is developed. Be sure to identify your faculty "second reader," who will ultimately approve your proposal and thesis. UPLOAD YOUR APPROVED PROPOSAL. After your project proposal is approved by your faculty mentor and second reader, submit it to our online form. 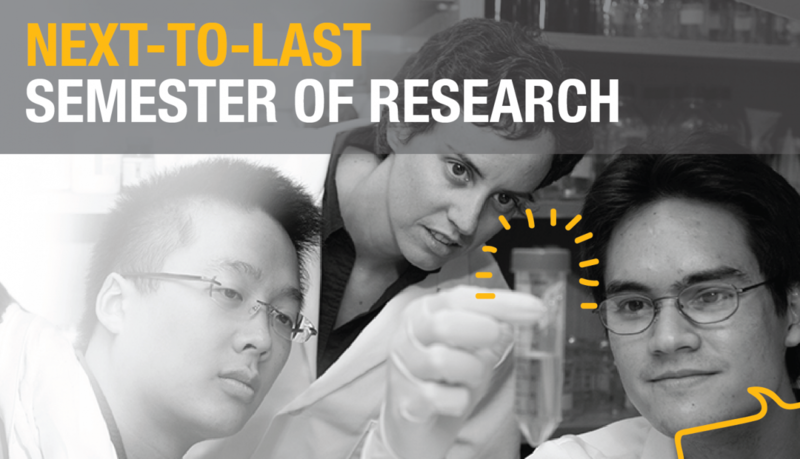 SIGN UP FOR LMC 4702. Students must request a permit to register for this course, Undergraduate Research Thesis Writing, using the form found here. Students are encouraged to submit this form during Phase I Registration in order to guarantee class space following term. Prerequisites for the course include completion of LMC 4701 and at least six hours of research. SUBMIT CERTIFICATION FORM. Your thesis must be approved by your faculty mentor, second reader, and the undergraduate coordinator for the Research Option school. Approval is designated by signatures on your Research Option Certification Form. Completed forms are to be submitted to UROP office in Clough 205. UPLOAD YOUR THESIS. Upload your final thesis to thesis.gatech.edu for archiving in Georgia Tech Library.